"The players possess remarkable tonal gleam and technical command, presenting personality-plus solos without sacrificing ensemble unity. Dusinberre and Schranz are a stunningly simpatico pair of violinists echoing each other's attacks and phrasing exactly, matched by Tapping's laser-like viola playing." 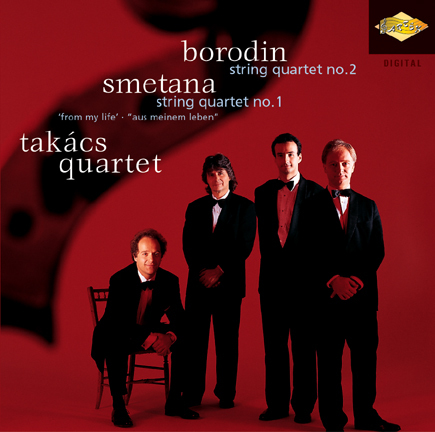 "The second half ended with the Quartet in E minor "From My life" by Smetana, a work where the musical brilliance of the Takacs Quartet was most evident, as they unfolded at length a coherent interpretation in all four movements, ending with a sound interpretation of the finale."